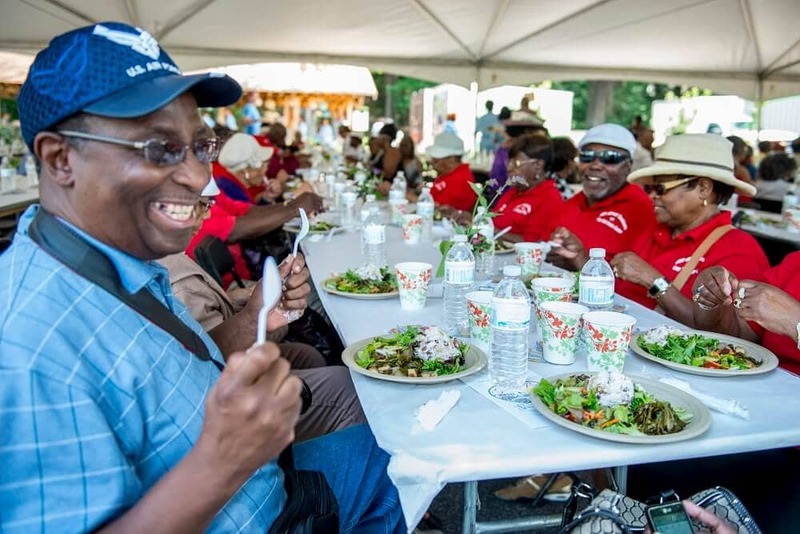 Once again, we plan to once again honor Older Americans Month and the hundreds of wonderful seniors we serve, as Open Hand Atlanta and United Healthcare host our annual Celebrating Seniors Garden Party on Tuesday, May 21st. Our seniors will receive fresh produce at our on-site Farmer’s Market, enjoy lunch freshly prepared by Open Hand & Good Measure chefs, participate in our fun, interactive Healthy Eating “game show” and win some great prizes! Of course, no garden party would be complete without some great music and dancing! We look forward to celebrating with you, so plan to bring a healthy appetite and your dancing shoes! Unfortunately, this event is not open to the general public.